There always was something magical about watching my brother Dan when he'd go fly fishing. But I never had a chance to learn, until this past summer, when providence plopped me at the northwestern tip of Yellowstone National Park. But the outfitters charged $450 for a lesson! We didn’t have that type of money. There was Wal-Mart though. And YouTube. $15 bought a rod, $10 a reel, $13 the line, $7 some flies, and $15 waders. $60 - not bad, all in all. Starting in the morning, it took about two hours to get the line and knots and fly assembled correctly, then three more hours of watching videos and practicing casting. By 3pm or so I figured I would give it a go in the real world. 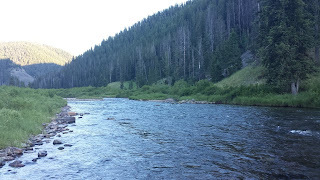 Two priest friends dropped me off on the Gallatin River. The first thing I caught was myself. Snagged the hook in my shirt. My dad used to joke about the “pre-tangled” rod he once bought. 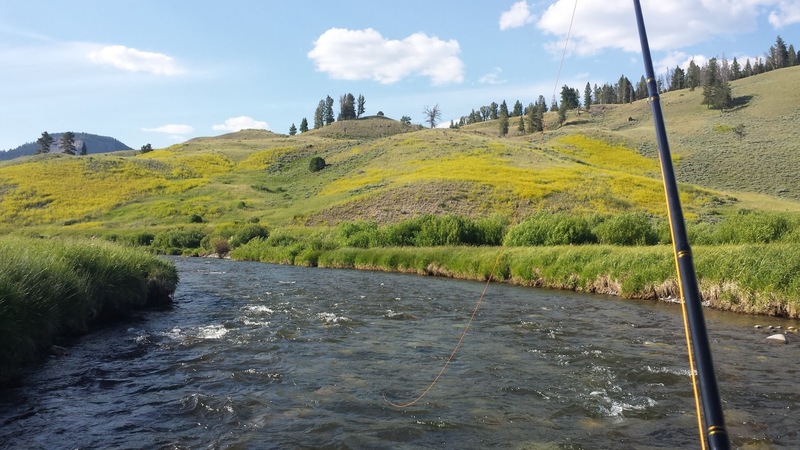 But fly fishing seemed like the kind of fishing where you had “self-tangling” line! Taught by YouTube, I didn’t know if my casting was correct or not. 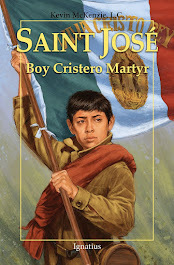 But that didn’t matter. The ice-cold water rushed about my legs. (and through the holes in my waders.) Giant mountain peaks reared their green-mantled heads on either side of the twisting river valley. The setting sun glinted golden on the flowing water. Along the banks and in the water beneath my feet glistened polished rocks of every color of the rainbow. Tall grasses swayed and rustled in the fields on either side. The wind blew – at times serenely and at times in gusts – down the valley. 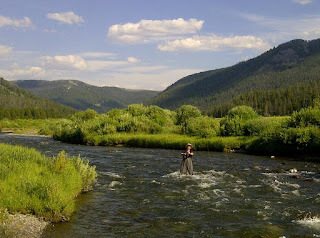 “Heavenly” is the only word I can find to describe fly fishing there, whether I was doing things right or not. I caught nothing. One fly disappeared in the stream, so I tied another to my line. Its little hook caught on my shirt and in my waders time after time. Along came the priests who had dropped me off. “Would you want to try another part of the river,” they asked. I was having plenty of fun where I was, but thought there could be no harm in trying somewhere else. So we jumped in the car again, headed south, and this time they dropped me at Specimen Creek, a little brook that spilled into the Gallatin river. The creek was hard-going. Trees hung over both banks. At one point, my line got snagged 15-feet up a tree hanging over the creek. I had to climb the tree, jump out onto the limb, and pull it down with my body weight until the precious fly was safely dislodged. As I stepped into the river again at the end of the creek, there were five minutes left until our rendezvous time. I pulled out my camera. “If I’m not going to catch anything, at least I want proof that I did go fly fishing,” I said to myself. And so the camera started rolling. I put on a show, casting my very best, trying to set the fly ever-so-gently on the water in imitation of a real bug. Then I saw a small silver thing jumping in the water. It was a fish. In disbelief, I realized that it was attached to my line! I reeled the little thing in as fast as I could. It wriggled and jumped and tried with all its might to escape. And escape it almost did, jumping from my hands several times. But at last I got a hold of it. 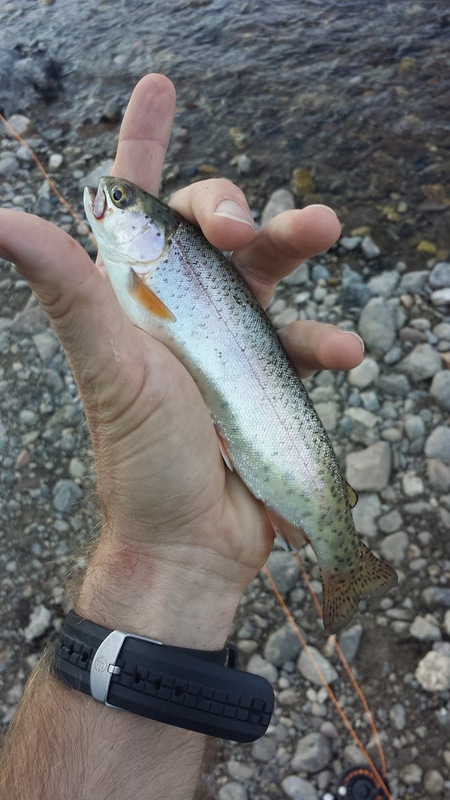 The little 8-inch rainbow trout eyed me with suspicion. I eyed him with exultation. My fishing trip had not been a complete failure! Figuring that he had the greater part of his life ahead of him, I let my little friend go in the river, and headed happily back to the road. The next day I went fly fishing in the same river, to the north. Sure enough, on one of my last casts another little silver thing started jumping out of the water. 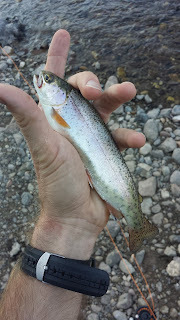 It was another rainbow trout, this time a 10-incher, just big enough for lunch. Never before has fish tasted so good. Tender, juicy, sweet, fall-off-the-bone goodness – he was all that and more. God sure was loving me, inexperienced fly fisherman that I am. Only he could have made rainbow trout, and that jaw-dropping beauty, and the tremendous joy that filled my heart.